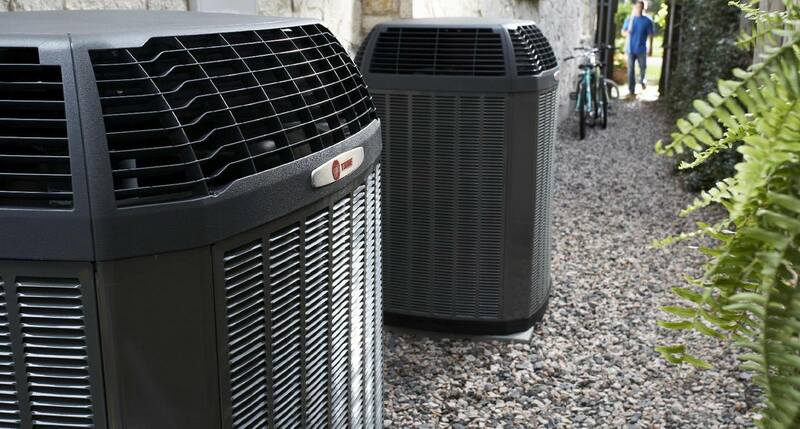 When looking for a new air conditioning or heating system, it is important to note that not all HVAC installation providers are created equal. While many HVAC installers try to talk a big game, here are 5 key signs that can help you know if you are going to receive the standard of service you should expect from your HVAC provider. Beware of contractors who try to give you an estimate over the phone without ever having seen your home for themselves. Realistically, a contractor worth his or her salt knows that you can’t give an accurate installation estimate without first having seen the home he or she will be working with. If a contractor tries to give you an install estimate over the phone, odds are they won’t do a thorough (and reliable) job on the actual installation. When a trustworthy installer comes out to do the estimate, they’ll need to see several key details like the type of installation and windows you have or check the condition of your ductwork. The diligence of the estimate often reflects the diligence of the work. Choose wisely! While we agree you may not want to go with a company that was born yesterday, it’s important to note that experience isn’t everything when choosing an installer. It is true that there are some things you can only learn with time, but some companies that are older can get stuck in patterns that become obsolete or inefficient as new developments come into the picture. We recommend looking for a company with a long history of service so that they can be more consistent and dependable in their systems, but they need to also show a consistent track record of quality work and customer satisfaction. Saying you’ve been in business for 50 years doesn’t always mean that your service is incredible this year. A good way to check this is to look at Google reviews. Out of the many sites where customers review companies, Google often has both the largest number of reviews and the most commitment to transparency. Sites like Yelp actually hide certain reviews, while with Google, you can find out if companies have a running trend with any particular problem. Licensing adds an extra layer of assurance regarding the quality and integrity of the HVAC installer you are considering. All HVAC companies are required to have a license in order to do business. Part of that license requires the company to have at least one Board of Contractors Tradesman “Master” for each discipline they service. If you want to really test your estimator, ask him or her how many of these Master Tradesmen they have on staff. Most companies will have 1-2, but MSCO features 8 Master Tradesmen! We recommend checking to see what license your prospective AC installer holds. For Virginia, you can look up companies by name to check their contractor class of “A, B, and C” license with the Department of Professional and Occupational Regulations. For example, if you search “Mechanical Service Company”, you will see our Class A license which we have held since 1957. Similar to the first point we made, some HVAC installers try to give their customers estimates verbally so that there is no written record of the expectations they set. That way, they have more freedom to go back on what they initially said. A trustworthy HVAC company will be as thorough and transparent as possible upfront, explaining all estimated charges and why they recommend them. They should be receptive to your questions, giving you clear answers. If an estimate makes you concerned about their honesty, their work is not likely to be much better. They should have confidence in what they say, enough to put it in writing. One of the most common mistakes customers make is to pick the cheapest estimate they receive. Another way people make this mistake is when they get a cheaper estimate, they assume more expensive estimates are just overcharging and trying to rip them off. Generally, this is rarely the case. Many companies known for the cheapest estimates also tend to have a reputation of cheap parts, cheap service, and cutting costs wherever they can to gain more customers in the cheaper price range. Some companies will offer a cheap quote, then have numerous “add-ons” afterwards. Unfortunately, this results in frequent, expensive repairs (we know, we end up doing the repairs…), cost overruns, and unhappy customers. We aren’t advocating overspending, but be warned – the cheaper the estimate, the more likely it is that you’ll get low-quality parts and low-quality work. At the end of the day, our priority is educating our customers so that they can make the best decision for their needs. If you’re looking for your first installation or if you’ve gotten burned by a bad installer, give us a call or email us. We will help you make an educated decision that will set you up with dependable performance for the long haul.